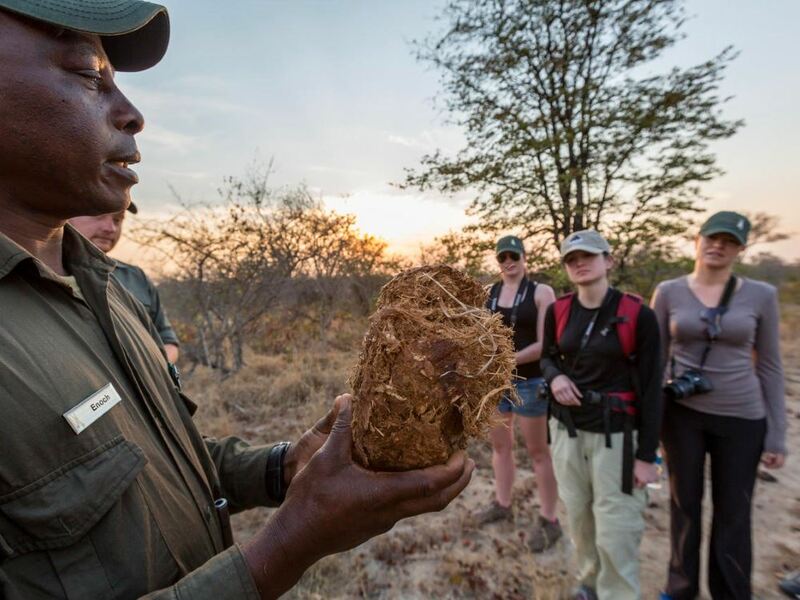 Experience one of the most pristine and remote wildlife areas in the country on foot – here you really get the chance to connect with the bush and enjoy some adrenaline-pumping adventures! You need to be aware that you’re not as likely to see big game close-up on foot – however that’s what the afternoon game drives are for! If you want a 5 star luxury experience then do not even look here – but if you want a back to nature experience with just the basic comforts then this could be the perfect place for you! There’s little to match the thrill of walking through this vast wilderness knowing that any member of the Big Five could be just around the next thicket! Africa on Foot camp is the place to be for those of you who are up for an adventure on foot, as it specializes in walking safaris! 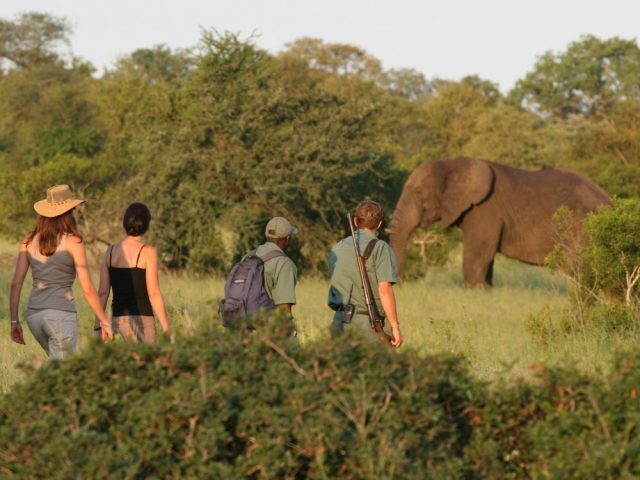 It's located in the Klaserie Reserve which borders the Timbavati and forms part of the Greater Kruger Park – today the Klaserie is the least commercially developed and therefore not as famous as the rest of the private reserves in the area, but that doesn’t mean the game experience isn’t top notch. In fact because of that lack of commercialization, it arguably offers a more truly remote and pristine wildlife experience that just isn’t possible anymore in the reserves which have far more lodges! There’s little to match the thrill of walking through this vast wilderness knowing that any member of the Big Five could be just around the next thicket! The good news then is that the guiding here is absolutely superb! 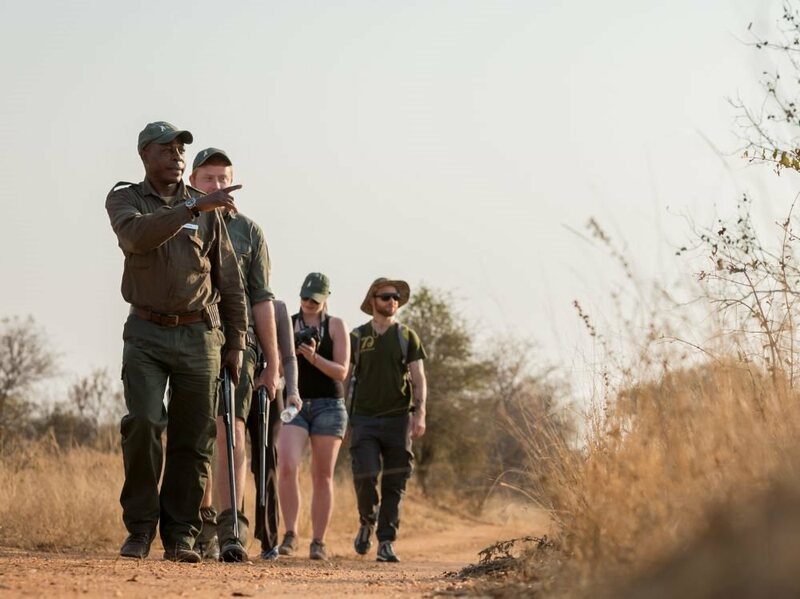 You’ll be accompanied by qualified and experienced game rangers through this rugged and striking panorama - the rangers have had intensive specialized training and qualification in approaching dangerous game and will give you an unforgettable safari experience! The actual camp at Africa on Foot is in keeping with the authentic and back to basics philosophy with its 5 rustic chalets (2 are family units) ensuring an intimate and personal safari experience. This is a simple camp with chalets that are small and comfortable –don’t expect luxury 5 star accommodation – but it’s perfect if you wish to truly immerse yourself in a rustic bush experience! All chalets are equipped with lanterns which provide a romantic and traditional atmosphere, whilst plug points in the main area can be used to charge camera batteries (the camp does have generators but these are generally switched off at night) Solar-powered mist fans keep you cool on those hot summer nights and hot water bottles are left under your sheets for the cold winter evenings. All chalets have en-suite bathrooms with some boasting an outside shower! A huge highlight here is the option of a night in a tree house - if you are adventurous and fancy taking to the bush to perhaps face your fears by sleeping under the stars, this could be just the ticket! The sleep-out platform boasts comfy beds and an outside bathroom and shower as well as a lounge area. From here you have the chance to view all sorts of wildlife from the comfort of your bed! The lodge’s thatched main area is spacious and welcoming and houses a comfortable lounge with two sitting areas, a bar and a library - a place where you can relax with a game of monopoly or simply read a book. The dining room has a large table where everyone dines together and shares stories of the day’s adventures in typical safari tradition! 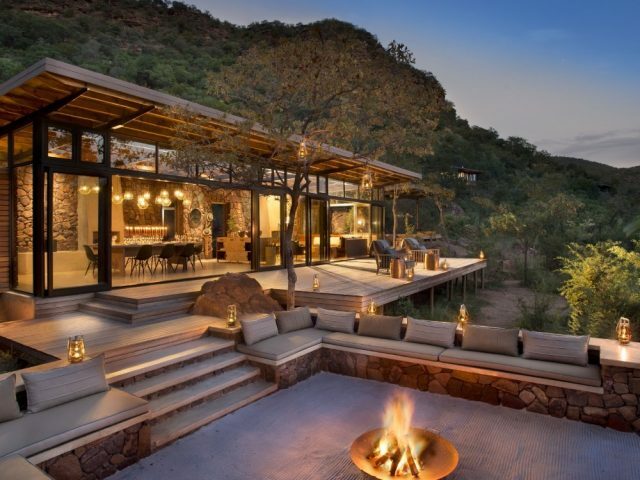 The boma area with a camp fire is perfect for warming you up before the morning walk or you can enjoy evening drinks and braai around the open fire. Summer are hot and thankfully the camp has a lovely and very welcome swimming pool with a deck where you can chill or take a nap during the midday heat between game activities and watch out for the resident buffalo – Bruce! Ultimately the focus at Africa on Foot is a refreshingly different one based on great friendly hosting (the camp is owner managed which we always prefer), a small, intimate and simple but comfortable camp, superbly knowledgeable rangers and of course, the chance to wander a pristine and wild area on foot – it’s certainly not for everyone, but if this is what you are looking for then Africa on Foot will deliver an unforgettable bush experience!